It is an ideal pharmacy for people taking monthly regular medicines, for conditions like Diabetes, Hypertension, Heart conditions, Thyroid, Arthritis, Asthma, Gastric conditions, Kidney conditions etc. We provide a flat 15% discount on all medicines, along with the convenience of free home delivery. Once a patient subscribes with us, we proactively ensure monthly refills of all medicines, that helps them in improving their medicine adherence. We are redefining chronic disease management and are proud to be in an industry that can make a real difference to millions of lives! Enhanced UI and Bug fixes. 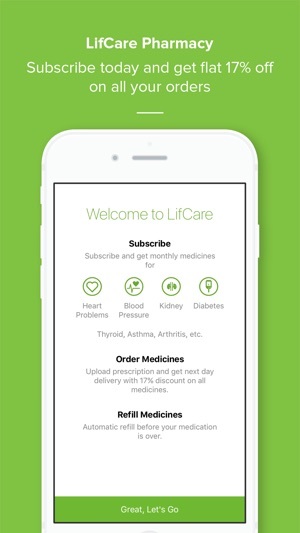 I have used this lifcare pharmacy app to get the medicines for my relatives who are old enough to go all the way to the medical for there arthiritis medicines. 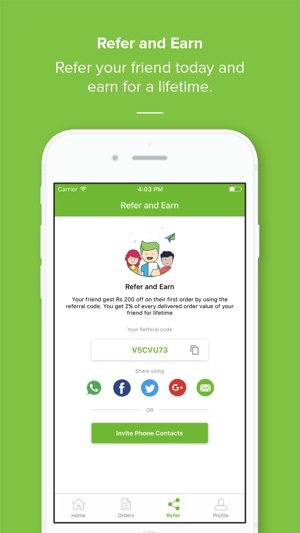 This app served the best to them with accurate delivery in time & the best part is monthly refill reminder facility they provide. I have ordered some medicines from them on 11 september and they provided me the delivery date of 15 september 2018 and they dint delivered. I called their service executives on 16th and on consecutive dates on and they assured me daily that they will deliever the packet on that date itself. But on today 17 september when i called they said they will deliver medicines today but when i pressurised them they changed their statement and ask for minimum 3-4 days to deliver. And they assure a delievry in 24-48 hours. Life Care is an application that is a big fake application. 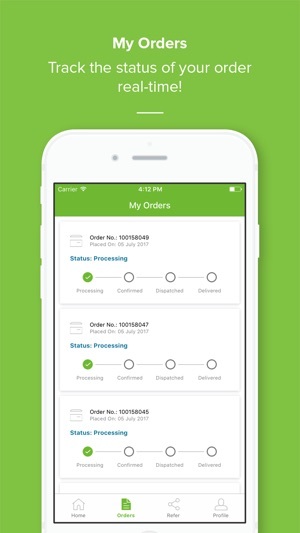 On August 6, I had placed the order but on that day I canceled my order but payment I had already made but I have not got it payment yet. I placed the order on August 11, still I didn’t get any parcel and today it is 22nd August. Please do not take medicines from here because they not provide medicines on. If you have an emergency, please take them from the market but do not ever order them.